The Genuardi Family Foundation has its roots in a classic American story of immigration and strong work ethic. 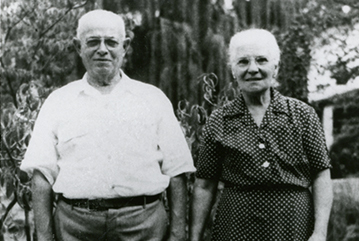 In the early years of the 20th century, two young Italian immigrants met and married in Norristown, Pennsylvania. Gaspare and Josephine Genuardi had a large and growing family to support. Gaspare raised fresh vegetables and sold them, door-to-door, first from a horse and wagon, and later, from a truck. As their children grew, they helped with the family business and were instilled with their parents’ values of hard work and dedication to others. Many years later, five of their sons—there were nine children in all—assumed responsibility for the business. They were known as the Genuardi Brothers, and they opened their first supermarket in the Norristown area. Their business continued to grow, and they opened additional stores in surrounding towns. 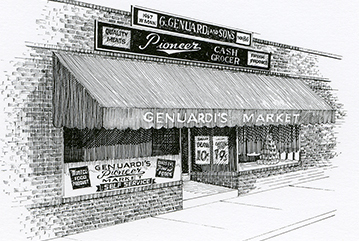 For 40 years, they expanded the Genuardi supermarket chain in three counties in Southeastern Pennsylvania. 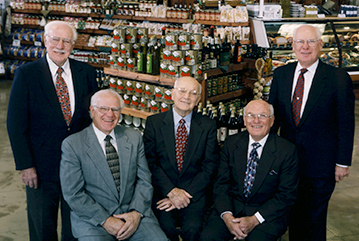 In 1990, the Genuardi Brothers sold their business to nine of their children: Charles, Skip, Tom Jr., Anthony, Larry, Joe Jr., David, Michael, and Jim. These nine first cousins guided Genuardi Family Markets through a decade of growth, surpassing the dreams of their parents and grandparents. Genuardi Family Markets became one of the top supermarket retailers in the Delaware Valley, expanding into three states and employing 7,000 people. During this time, the family business was expanded on the solid bedrock of values passed down from one generation to the next. In 2001, the Genuardi family sold Genuardi Family Markets to Safeway, Inc., one of the largest grocery retailers in the U.S. At that time, the Genuardi Family Foundation was established, with the express mission of giving back to the communities which had supported the Genuardi family business for some 80 years. The mission of the Genuardi Family Foundation is to support the development of healthy individuals, families, and communities. Our nine Founding Board Members, all third generation Genuardi family members, continue the legacy of their parents and grandparents. It is not the intent of the Genuardi Family Foundation to seek public recognition for its philanthropic activities.